Happy Monday my friends! This mermaid sunhat is giving me all the feels. So wishing I was in paradise instead of this rainy, cold weather in NY today! Who’s excited for Spring? 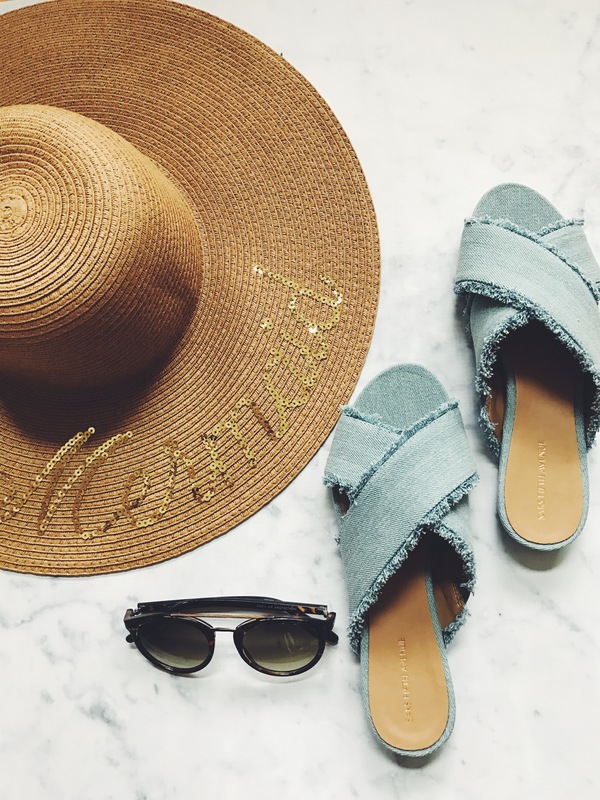 I just had to share with you my FAVORITE denim slip ons for under $50! I seriously can’t believe it. 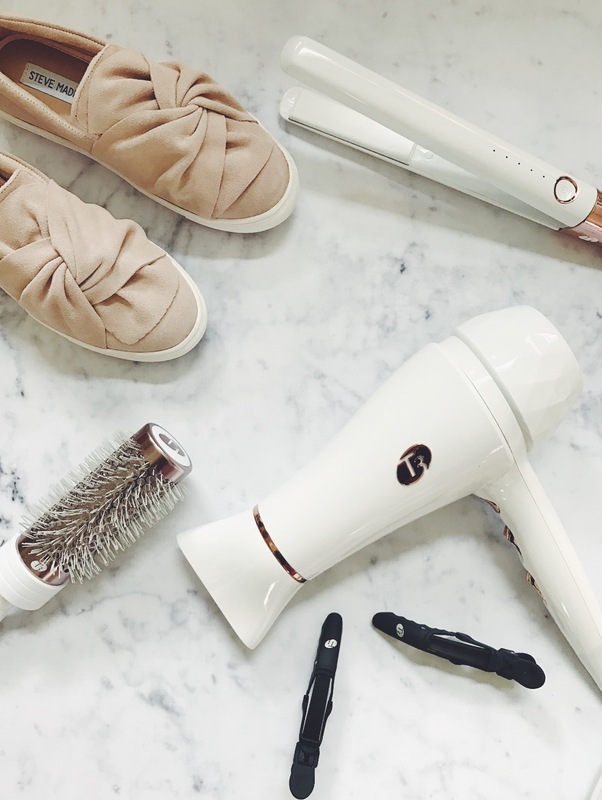 Also Saks is offering an additional 20% off your purchase online. Who’s obsessed with these? Also, aren’t there days where you wish you were a mermaid? Yep…that’s me today! I am completely OBSESSED with two pieces this year. This floral tie front romper is just absolutely darling for this season. I love that it has the little vintage looking buttons down the front. This adorable two piece attached set comes in three different colors. I linked them here! Anyone else obsessed with floral prints+ two pieces this year? I scored this one for under $50.00 from the Saks outlet! I am hoping all of the spring showers bring May flowers, so I can wear my fun two pieces! I have been doing a lot of traveling back and forth to Florida. I recently visited Boca for an audition appointment. I must say, my audition experience was a lot calmer than N.Y. One of the young gentleman that works the bar during intermission at the theatre, asked me if I wanted a glass of water while I waited to audition. Let me tell you, this is very RARE! This does not happen in NYC. It honestly felt like Broadway! In New York, you are just another number. This was a nice change and it was good to get a little break from N.Y. I had a few days of sun and relaxation, which was much needed. While visiting Boca, I stopped at one of my favorite boutiques in Delray Marketplace, Apricot Lane. If you have not visited this boutique, you must ASAP! They have several different locations that you can check out through out the globe. Sadly, they do not have an online boutique but I am obsessed with each store carrying different, unique items. This pink lace top pictured below is from my little shopping spree during my 4 day getaway. I am so excited to walk into Spring with this gorgeous neutral added into my closet! I can hardly believe that Disney’s Beauty & The Beast will be released in theaters today. I have been dreaming of this movie re-make for a very long time. I am not sure what to expect exactly, but I have listened to the soundtrack for the past week, and the orchestrations are absolutely beautiful. Since I was just a little girl and singing at a young age, I constantly sang Belle’s songs around the house. She was my favorite Disney princess and I couldn’t get enough Beauty & The Beast. My mother knew that this Disney princess would always have a close place in my heart, especially since I wore a locket just like Belle. At the age of 4, inside the locket, I would carry a photo of my mother and hold it close to my heart, whenever we were apart. As the years passed and I grew, so did my love for Beauty and the Beast, as well as anything musical. I began to participate in my high school’s musicals and started taking private acting classes on the side at our local theaters. Now as a young adult, on my very first day of musical theatre class, I was assigned the song "A Change In Me" from Alan Menken’s, Beauty & The Beast musical version. 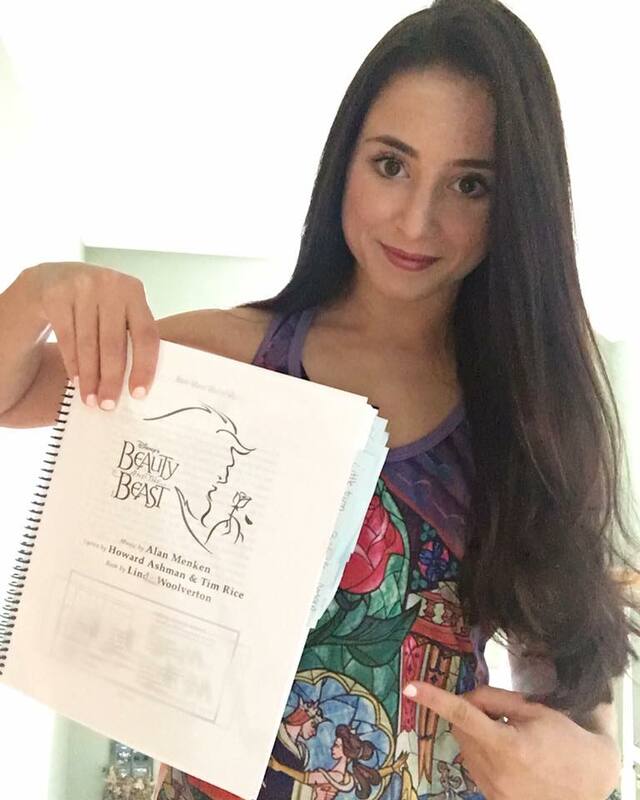 I loved the song and I worked on it every single day, as it was challenging as a new musical theater student. This song eventually became a part of me, a part of my repertoire, and just something I loved to sing. 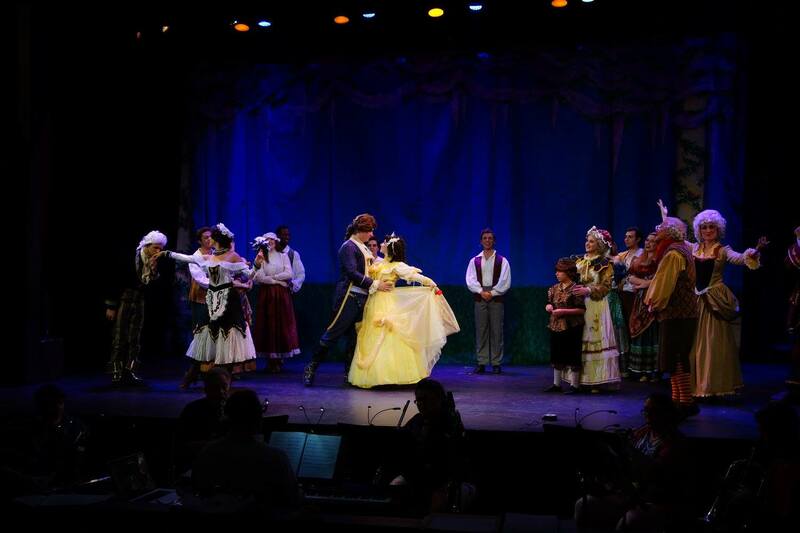 After graduating high school, I worked extremely hard to book the role of Belle, as I was often viewed as only a dancer. Anyone who knew me well, also knew Belle was my dream role. 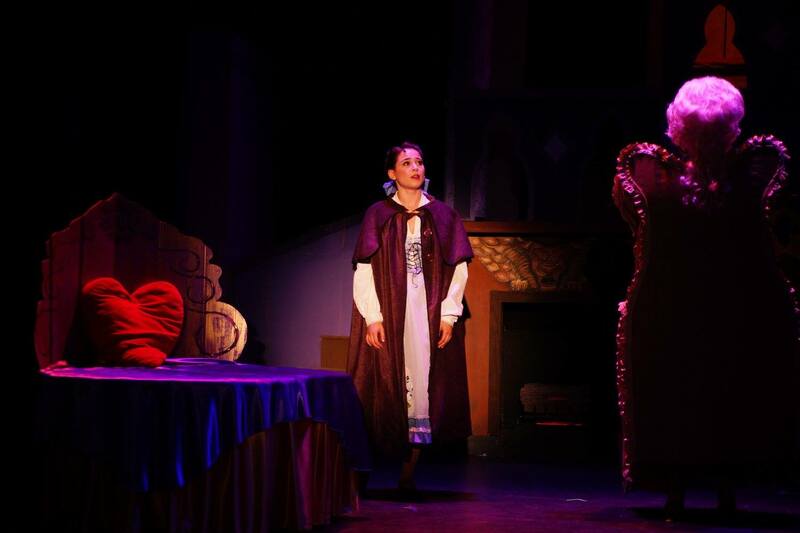 Since the young age of four, twirling in my yellow Belle dress, I dreamt of playing this role. I was determined to fulfill one of my most important dreams. Of course there were teachers and people that tried to lead me astray, telling me I was just a dancer, but I knew I was meant to play this role one day. I always felt it in my heart. I actually had a lot in common with the character Belle, as I too was a bit of a bookworm and ostracized by others, and often referred to as, “odd.” When the time was right and I was prepared, I was blessed with an incredible opportunity, by directors who believed in my talent and me. Thanks to them and their trust in me, my time finally arrived. After attending my University and graduating with my B.F.A in Musical Theatre, I continued to perform in many musicals across the globe. I played roles such as, Chava in Fiddler On The Roof, Mimi in Guys & Dolls, Thea in Spring Awakening, as well as a soloist in Les Miserables, featured dancer in All Shook Up, Zelda in Singing’ In The Rain, the World Premiere of a new Off-Broadway show and so many other amazing shows. I still was dreaming of playing my favorite, heroic Disney princess, who I related so closely too. 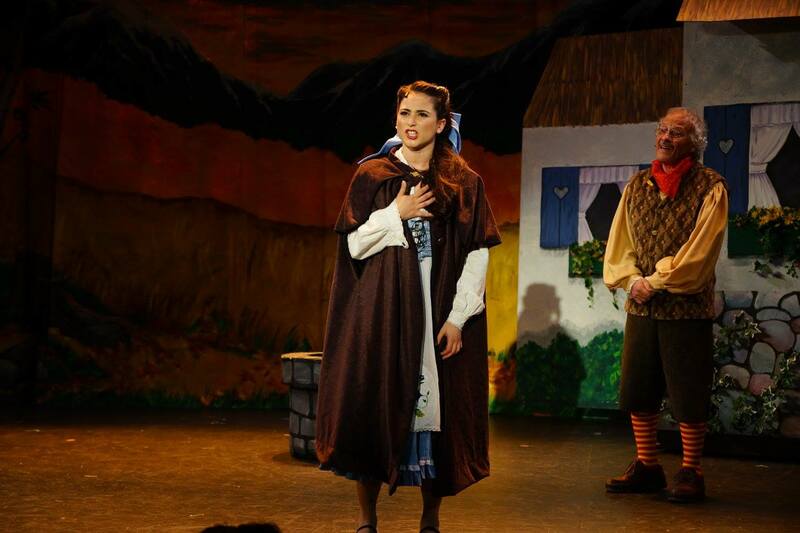 I auditioned for the role of Belle at several theaters and wouldn’t let the no’s discourage me from my dreams. As I continued to pursue my dream, I one day sent a video audition tape of me singing the music from the show to a theatre, I had previously worked at. They asked me to submit more songs and get it to them as soon as possible. I thought to myself, this is a wonderful experience to even have the opportunity to audition for Belle. Weeks following my submission, I received a phone call that eventually would change my entire life, as well as my career. 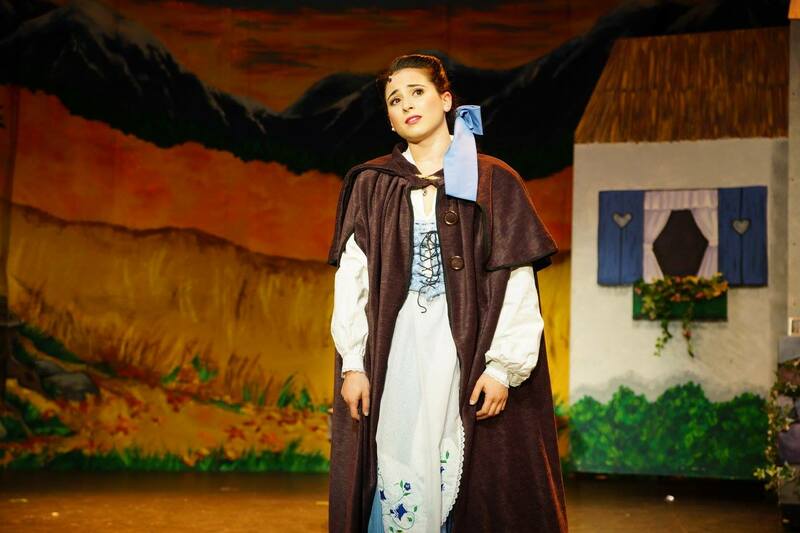 I was cast as Belle. I of course was calm and collected on the phone, but after hanging up the phone, my mother and I were in tears. My dream had come true. I had received an opportunity of a lifetime. After years of work, audition after audition, I finally heard that yes I was waiting for. The summer of 2016, I had the privilege to step into Belle’s shoes. It was an amazing experience, which I can hardly put into words. Sometimes, I think back to being on that stage and still shed a tear. 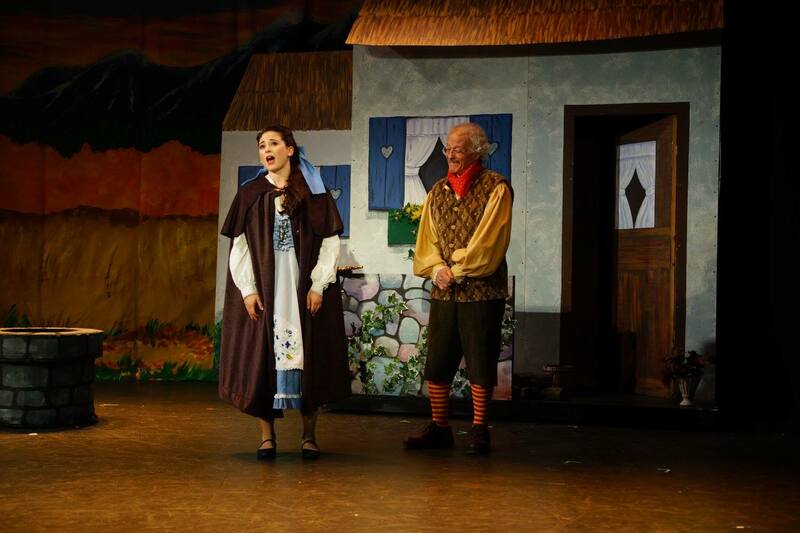 The role of Belle brought so much joy, strength, hope and love to my life, as I stood on that stage with listening to the cheers of the audience. Before the curtain opened, I literally would have to pinch myself. I felt as if I was dreaming. I am so excited to share some of my favorite moments with all of you, and answer many frequently asked questions, as well as share a video clip of me performing! I can’t express this enough, if you dream it, you really can do it. There were times, I had lost all hope, but with determination and strength, you must continue to follow your dream. The dreams that you dare to dream really will come true. It was truly no coincidence that the original Disney movie, Beauty And The Beast was released on my birthdate, November 22nd, 1991. 1. How did you create your costume? We actually had a wardrobe/ costume creative team that designed all of our costumes. My mother handcrafted my bow and gifted it to me. it was a very special accessory to wear. I also wore my actual locket which made it that more special to wear. 2. What was your favorite scene in the show? The song "Something There", is my favorite moment, as Belle reads King Arthur to the Beast. 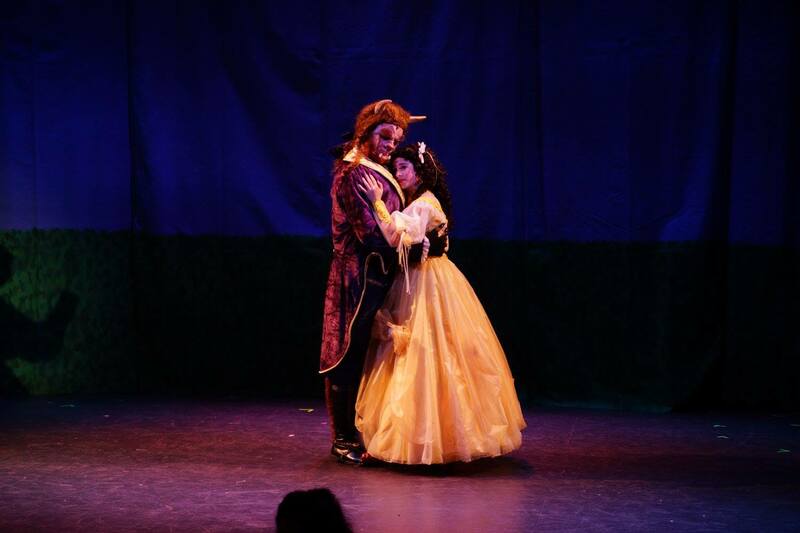 It is such a beautiful moment between Belle and the beast, as she begins to open up for the first time. This is the first look at seeing Belle fall in love with the Beast. 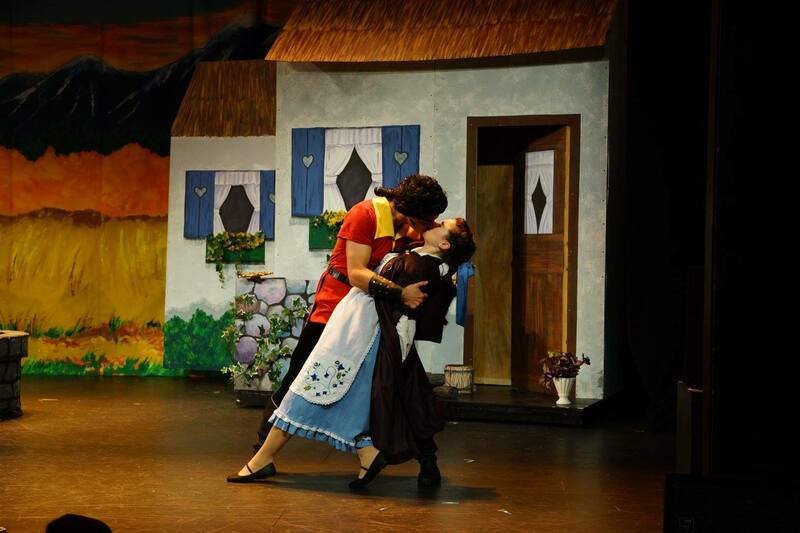 My second favorite is the waltzing scene, it is such a touching moment in the show. 3. 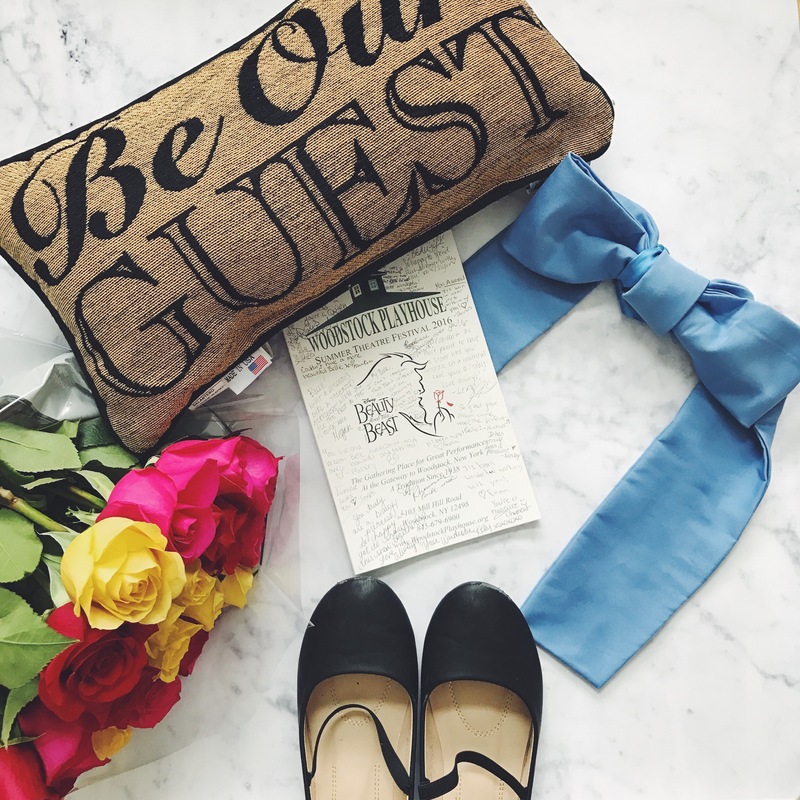 In what ways do you relate to Belle? If I could relate to any Disney character, it definitely would be Belle. I have always loved to read, especially romance novels. Belle’s favorite story is King Arthur. As research for the character, I did read King Arthur. It is a beautiful story. I always felt as if, I was different, odd, and didn’t have a place in my small high school. A lot of my friends enjoyed going out, partying, but I was okay with reading my favorite book in my little nook and being the homebody that I was. 4. How long did you have to rehearse and how long did it take you to memorize your lines? 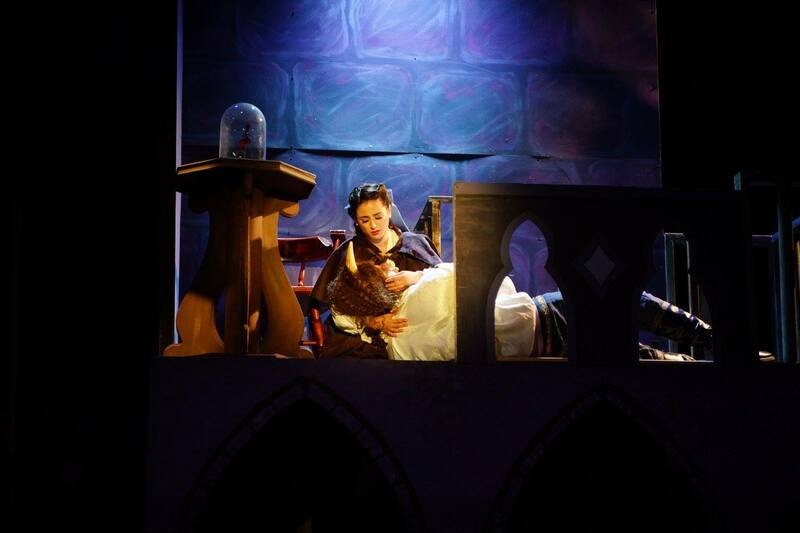 We had about two weeks to get the show fully rehearsed and then we moved into the theatre for tech week. The normal rehearsal time is 2-3 weeks for a show. (Not talking about Broadway here). 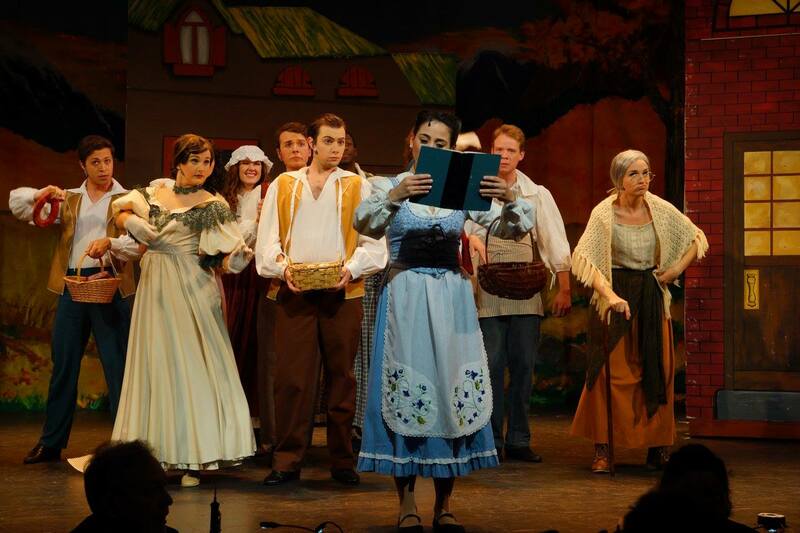 I started memorizing my lines while performing a different show. I had plenty of time backstage when I wasn’t on stage to work on them. It took me about a week to be completely memorized, music and all. 5. What was your favorite song to sing? I would have to say that "Home" was my absolute favorite song to sing. Home was a cut song from the movie but is an added song in the musical written by, Alan Menken. It is a beautiful song that takes place after Belle chooses to stay in the Beast’s dungeon instead of her older father. She has to let go of home and her small, provincial town. She is longing for home but knows this is her "new home". 6. What was the hardest part as far as getting into character? Such a great question! My biggest struggle was meshing Belle’s character (personality) with the vocal music. Playing a leading, strong woman role was a different experience I was challenged with doing. After years of being in the ensemble, the focus was on my character. Instead of focussing on how to become Belle, I lived through the honesty of what she believed in and what was true to her heart. Relating to so many of Belle’s qualities, made it easier for me to jump into her character. 7. 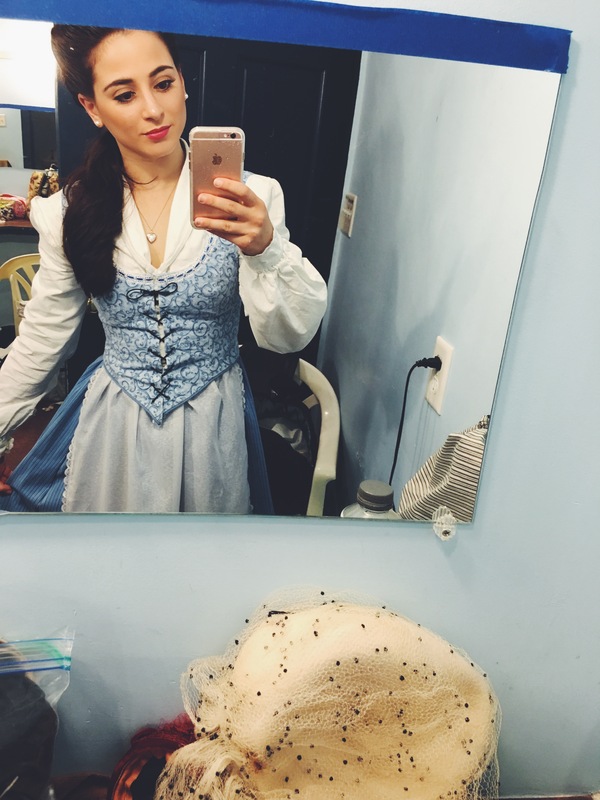 What was your favorite part about playing Belle? That is hard for me to answer, I loved every single moment! In particular, my favorite part was interacting with the Beast and sharing the message with the audience, that beauty comes from within. 8. How did you feel being Belle? I felt strong, heroic, understood, adventurous, in love and invincible because my dream came true. 9. How many costume changes did you have? I had a few costumes. I had the blue classic dress that Belle wears in the opening scene, the yellow/gold gown, the pink dress she wears in the library scene and I had my FAVORITE costume; the cape. I wore the cape in majority of the scenes in the woods, entering the castle and also in A Change In Me scene.